Will Carmelo Ride Shotgun To Amare? Nate Silver has a post on the NY Times' FiveThirtyEight Blog today discussing whether or not the Knicks' deal for Carmelo Anthony last night will limit the upside for the team over the long haul. It's a pretty interesting read that anyone who likes reading about Estimated Win Shares and Win Values should check out. 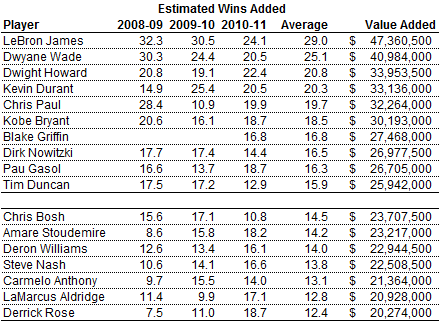 Something really stood out to me in the 3 year averaged Estimated Wins Added chart. Anthony lands at #15 on the list and while it needs to be said that he was injured and missed time in 2008-09 and that definitely had an effect on his stats, listed above him at #'s 11 and 12 were none other than Chris Bosh and Amare Stoudemire. If you'll remember, the Knicks were criticized over last summer for taking a chance on Amare, granted for injury problems, but because he wasn't the star to build a team around. In hindsight it's easy to see how great he's been for the Knicks this season but it's interesting to me, someone who admittedly is not an advanced stats kinda guy when it comes to the NBA, to see that Stoudemire has outperformed Anthony over the last 3 years. Together, despite a supporting cast which will leave a lot to be desired, there is no doubt that watching Anthony and Stoudemire play together will be very enjoyable. For months Knicks fans clamored for Carmelo to come in and relegate Amare to his #2, but will he wind up riding shotgun after all? Oh and Chris Bosh? Well, all you've been reading about since he signed with Miami is that "The Heat have 2 stars, not 3" and that he's widely overrated. Well he's ahead of both Amare and Carmelo. How should that sit with Knicks fans? Good stuff. 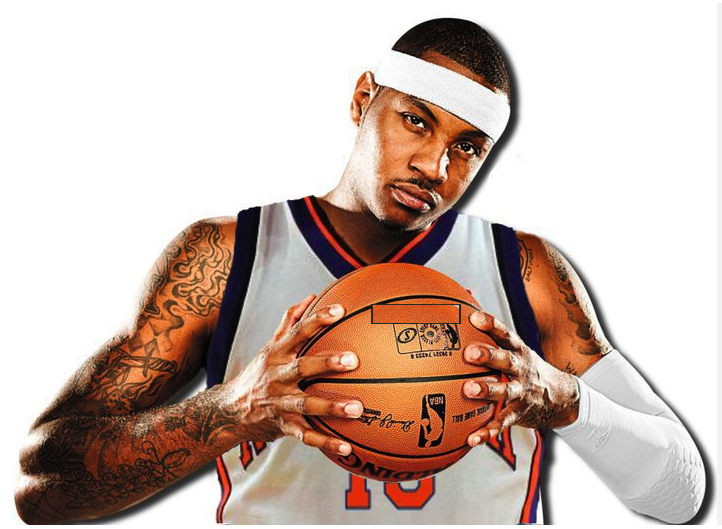 How would you quantify Melo's Denver cast? Could that have deflated his anticipated value? I'm not sure how you would calculate that. 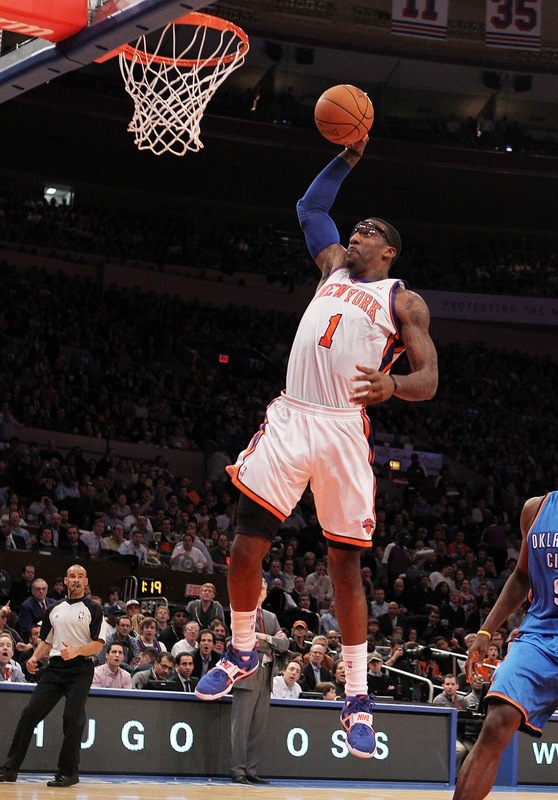 Amare played with Steve Nash those years who was undoubtedly better than anyone that Carmelo played with. Nash interestingly is one spot above Anthony on that chart but two below Amare. Unfortunately I haven't read enough about the advanced stats of basketball to understand how they relate. Maybe someone can help us.